Water safety starts with supervision! Supervision is the number one thing we need to do as parents to help keep our children safe. They cannot be left in the kiddie pool the same way they are placed in front of TV. Children near water require constant adult supervision (an 8-year-old sibling is not old enough as they can become distracted easily). Floaties and water wings are not an alternative to supervision, as they will not prevent a child from drowning. Parents should exercise touch/reach supervision, which means they are always within an arm’s length of the child. Remember, supervision is not a chore – it is quality time with your child! Older children need supervision too. Water safety is so important, but often parents take it for granted with their older children. Pay attention to older children. They love to have mom and dad watch them do cool things in the water. Encourage physical activity, doing different things, and give positive feedback. Enjoy watching them have a great time! Practice water safety inside and out. Children can drown in very little water, very quickly. While it may be more apparent to take safety precaution when at the pool or the beach, parents should practice safety near any place with water both inside and out: tub, toilet, fish pond, buckets of water, coolers, fountains, hot tubs, and even big puddles. Maintain a one-to-one parent-to-child ratio. Our children are safest in the water when there is a one-to-one parent-to-child interaction. That means the parent or caregiver is giving their undivided attention – not on the phone, not reading a book, and not watching another child (if avoidable). Parents should never leave a child unattended in or near water to answer the telephone, door bell etc. They must pay close attention even if the child is in a kiddie pool or the shallow end. Remove all water temptation. Keep children away from water unless supervised. That means, emptying the kiddie pool and getting covers with locks for hot tubs and spas. Families with pools should follow their state or county guidelines to keep both their children and the community’s children safe. Be sure to also empty the cleaning bucket after mopping, shut the bathroom door, and use a mesh cover over a fish pond. Pay careful attention to temperature. The temperature of pool or ocean water can be several degrees colder than a child is accustomed to. Be sure to acclimate them slowly. Also, be tuned-in to your child – if your child is not in a good mood, then water play time will be spoiled. Designate pool guards. There are only so many children one adult can supervise in the water at any given moment. Invite other parents to help supervise at pool parties with several young children or consider hiring a life guard. If there will be children swimming at a big family party, be sure to designate pool guards who do not drink or socialize; perhaps two or three who can rotate. Teach kids ages 8-12 what do in case of emergency. Role play with them – what to do, when to do it, what their address and phone number are etc. Parents with children near water should also know CPR, especially when there is no trained lifeguard on duty. Learn to swim together. It’s wonderful for parents and children to take swim lessons together – children often learn by example. Check with your pediatrician to see if you child is old enough to learn how to swim. A child’s muscles must be strong enough (usually by age 6 months) for them to hold their head up out of water so they aren’t swallowing it. Under the age of four, children are not mentally able to swim properly and safely. “Water babies” and other programs introduce smaller children to water play by acclimating them to the water. The best programs involve a caregiver in the lesson in the water one-to-one with the child. They start to teach basic water skills – blowing bubbles, kicking, moving arms, doggie paddling etc. As children get older they can take more advance swim lessons. Parents need to recognize that swimming lesions do not protect kids from drowning – only constant supervision can. Make sure instructors are certified and they have proper experience. Teaching a child how to swim is a gift parents can give them that will last their entire life. Establish rules and be consistent. Create basic rules for all pools like “no running,” “no diving,” and “no swimming alone.” Buddy checks will play a major part – teaching children early on that nobody swims alone. Make it fun and even shout “Buddy check time!” before swimming. Do not leave toys near the pool, especially riding toys such as trucks, bikes and wagons. And do not leave toys floating in the pool. Most importantly, be consistent with enforcing the rules you create. 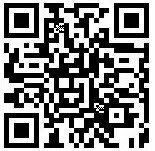 Beach/lake experiences can be friendly. When at the beach or lake, the first thing parents should do is check to see if there is there a lifeguard on duty. If not, then the parent is the sole lifeguard. Go in the water with children who cannot swim on their own. Be sure to swim within the flags near the lifeguard if there is one. Do not let them play alone at the water’s edge. Be careful about tides and undertow at the beach. Look out for weeds and greens at the lake, as not all lakes have sandy bottoms. And beware of debris and stinging/biting things at both places. Make time for the “lotion motion” – When playing with a child outdoors between the hours of 10 a.m. and 4 p.m., be sure lather on the sunscreen (minimum of 15 SPF; 30-35 SPF is recommended) and bring hats/sunglasses. The key to sun safety, especially when a child is in and out of water, is reapplying sunscreen. Implement a fun sun care routine – “It’s time for the “lotion motion!” Keep a shirt on your child. Protective wetsuits are also great and there is even clothing out there with SPF. And mom and dad should set a good example and practice good sun care too! Water play time is quality time. While water safety is certainly a subject to be taken seriously, do not forget that water play time presents a fabulous opportunity to engage and interact with your child in a way that’s fun for the child. Kids love water, as they come out of water. Playing in water is a very natural experience for them. You can even bring toys into the tub or swimming pool. 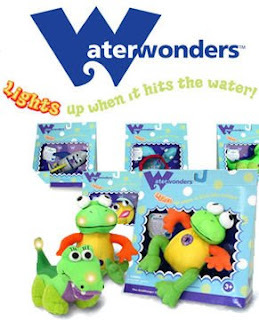 The Goldberger Co.’s Waterwonders are perfect because they are soft toys that light up and promote gentle splashing. When fun and safety are balanced, water play time can be a terrific experience for both kids and parents. Bette Holtzman has been a family therapist and children’s advocate for more than twenty five years. As Goldberger’s vice president of consumer and family advocacy, she interacts with parents, product designers and professionals to help clear paths of information and inspiration in the playthings Goldberger creates and in the concerns of parents for and about their children’s playtime. The Goldberger Company is a 92-year-old family owned and operated toy company that specializes in toys for children aged 0 to 3. This summer, The Goldberger Company i s introducing Waterwonders™, a line of water toys for children aged 3 and up that light up when they hit the water. These adorable, fun water creatures made of terry cloth and nylon float as an additional child safety measure. Each character is individually named and comes with its own unique story - parents will surely smirk when they read about how Albert the Alligator wants to be president of his own handbag company (rather than the handbag). For more information about The Goldberger Co., its Waterwonders line and to read more parenting tips from Bette, please visit http://store.goldbergertoy.com/. The mixture of water and kids scares me! Thanks for the tips. Great tips! I myself don't know how to swim so whenever we're around water, water safety is a HUGE priority in my books.